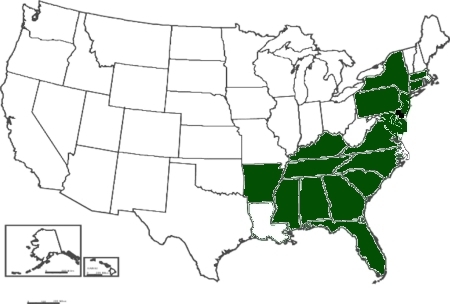 Range in New Jersey: southern portion of state, up to Middlesex, Somerset; also Bergen. Hough does not note in Cumberland, but the above photograph was taken in Cumberland County. Misc. Stone, in 1910, says " common throughout our district and in that portion of the country to the north that lies in the Middle district. Apparently does not extend north of the coastal plain. Most plentiful in the Pine Barrens. 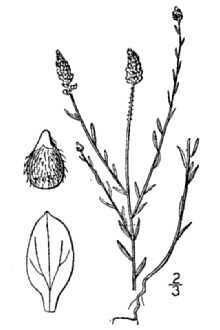 "This is our commonest small Polygala, and as universally distributed through the Pine Barrens as P. lutea. Nuttall, who discovered it and was clearly aware of its distinctness, mistook it for the P. sanguinea of Linnaeus, which was merely the pink form of P. viridescens, so Torrey and Gray fittingly honored the memory of the discoverer by naming it after him. 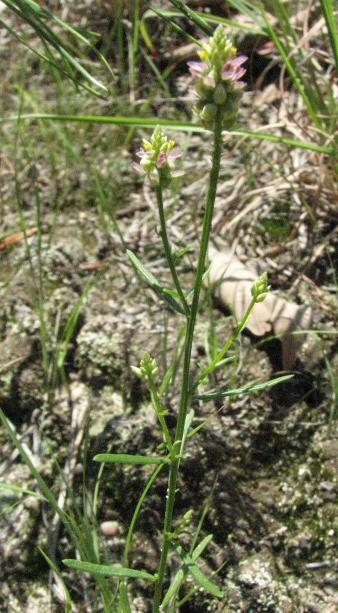 Few botanists were better acquainnted with the Pine Barrens flora than Thomas Nuttall, and it is well to have his name associated with it in this plant, Lobelia Nuttallii, etc. His type specimens, with their small, closely-writen labels, and all new species marked with a star, are still preserved in the herbarium of the Philadelphia Academy, where he worked for many years."